Munir El Haddadi is widely regarded as one of Europe’s top youth prospects following his UEFA Youth League displays this season. As Barcelona’s senior side crashed out of the Champions League against Spanish rivals Atletico last week, their youth side had something to celebrate on the continent this Monday. A 3-1 win against Benfica saw them crowned the inaugural UEFA Youth League champions in Nyon, Switzerland. However, they wrote that history without the challenge of beating Europe’s reigning number one youth side – Aston Villa. A year ago Aston Villa were celebrating their NextGen Series victory against Chelsea to be labelled the top youth side in Europe. “Indeed, in an internal survey conducted of all 32 competition clubs, 31 clubs expressed their satisfaction with the competition and gave input to further improve it. 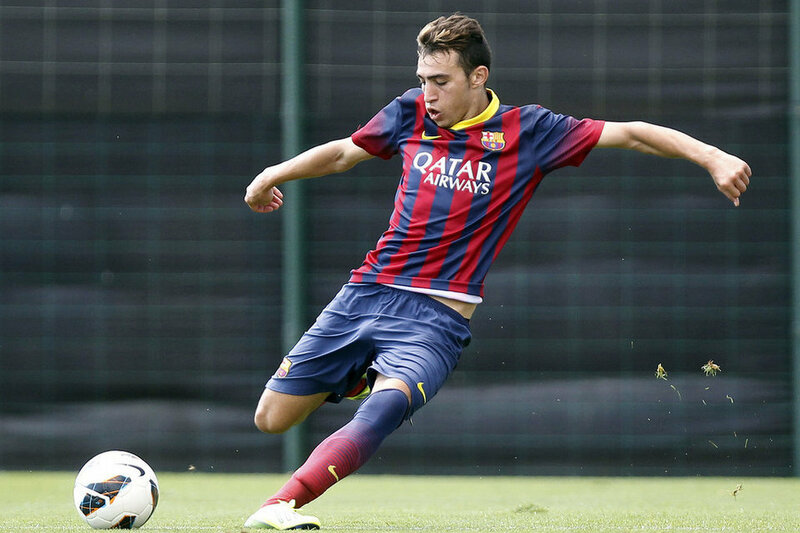 Munir El Haddadi stole the show on Monday. A brace against Benfica included a stunning halfway-line lob that added to his 9 previous goals in the competition to see him finish as tournament top scorer. Arsenal, Manchester City and Real Madrid were all reportedly interested in El Haddadi’s services after he netted 32 goals in 29 games for CF Rayo Majadahonda as a 15-year-old in one of Spain’s amateur divisions, but he chose to join the Catalan giants. So where now for the 18-year-old forward? He’s already playing in Spain’s second tier for Barcelona B and his European performances have only cemented his reputation amongst some of the continent’s finest clubs. The sky is the limit. 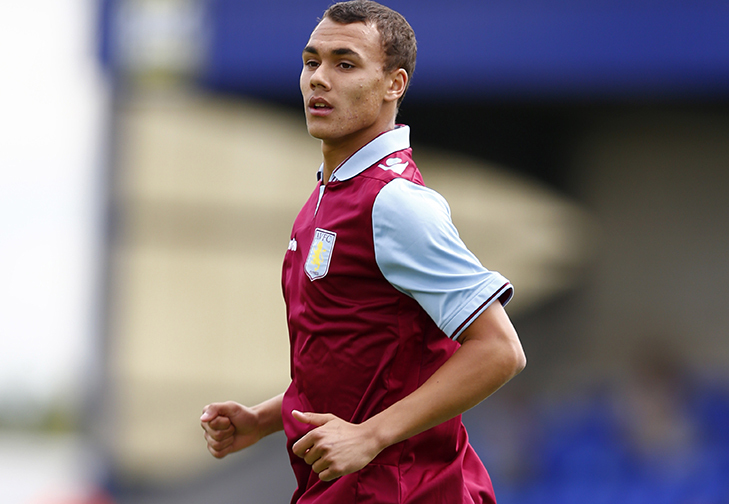 Graham Burke was last season’s joint top goalscorer. So what about the class of 2013? Last year’s champions Aston Villa boasted a strike force of Michael Drennan and Graham Burke, netting 13 goals between them which saw Burke finish top goalscorer and Drennan just behind in second. Burke has since had a quiet season in Aston Villa’s youth ranks. A brief loan spell at Shrewsbury yielded just four appearances and his loan was subsequently terminated. Michael Drennan recently joined League Two side Portsmouth. His brace at the weekend against Dagenham and Redbridge saw them pull clear of relegation. On the subject of relegation, Shaquille Coulthirst, who netted five goals for Tottenham Hotspur in last year’s competition including a hat-trick against Barcelona, has now joined Torquay United on-loan in League Two and could go down this weekend. All three youngsters are still young, but was the foot of League Two (for Drennan and Coulthirst at least) where they saw themselves playing a year on from defeating some of Europe’s most prestigious youth academies? Does this mean the NextGen Series had no lasting legacy? If the tournament did continue through to this season, would Villa have retained Drennan and Burke for the competition to gain experience against Europe’s top youth sides, and therefore boost their growing reputations? Or, is the loan move to the lower leagues a better long-term development option for the youngsters? The debate will forever go on. The UEFA Youth League is restricted to those teams that qualify for the Champions League. At the moment, that means neither Manchester United, Lyon, PSV, Inter or AC Milan will be competing next season. What about teams like Fulham and Everton? They’ve had great youth seasons in the Barclays U18 Premier League, but will their achievements come with reward? This came under huge criticism upon UEFA’s announcement of the tournament last summer, which would see a ‘suspended year’ for the NextGen Series. The UEFA Youth League offers huge benefits for clubs – particularly with costs of travelling away. Youth teams travel with club’s senior players on away trips throughout the group stage (because the group stage of the youth competition mirrors that of the senior) and play matches at grounds no more than 45-minutes away from the senior venue. You can see why those competing are backing it. But obviously this leaves questions open about whether it is fair for senior achievements to bare influence on youth prowess? Mark Warburton, co-founder of the NextGen Series and now Brentford manager, told Goal.com: “We’re talking about it now (next season’s tournament)… The sponsors are looking at how the Uefa Youth League has been received and how that might impact any NextGen sponsorship. “There have been discussions taking place and I can only hope they prove successful and it can then be re-launched for the third year. Can commercial value of the two co-exist? With so many high-profile European sides missing out on Champions League qualification this year, it may seem a fitting opportunity to unleash the NextGen Series back into competition. UEFA Youth League or NextGen Series? Both running alongside each other? Different teams or same teams in each competition? Should the NextGen Series act as a Europa League-type competition whilst the riches of the UEFA Youth League takes the Champions League format? Could they ever work together for a 64-team competition of Champions League qualifiers and the rest of Europe’s youth elite? The tournaments are essentially identical with the only real difference being in how you entered, NextGen via invite, UEFA Youth League via senior team performance. There are issues with both (invites leave a possibility of politics excluding clubs, the discrepancy between senior sides and their youth teams meant some really poor sides entered the tournament this year) and maybe neither is the right option. What if we had a tournament where teams played in the first half to establish what level they’d play at, and then break in to group stages to have tiered mini-leagues from the half way point? The point of this has to be to expose the kids to different tactical systems and challenges than they’d face in their own leagues, and surely it’d be better if more clubs got to do it? Or maybe have a lot of group stages to seed teams, then play out a tournament where eliminated teams competed with each other for a secondary prize?